Read about Škoda Museum or jump to the description of Octavia assembly line! In August, 2007 we finally visited Prague (we spent 3 days in Prague, but it’s not enough, if you want to see all the beauties of this city!). I planned to spend a few hours visiting to Mlada Boleslav being in 60 km (38 miles) distance to the capital of Czech Republic. Not enough time, especially when You enter the birthplace of every european Octavia 2 except Scout and 4x4 (at that time Volkswagen Bratislava plant in Slovakia was not manufacturing Octavia 2 yet)! Count a whole day to spend there! 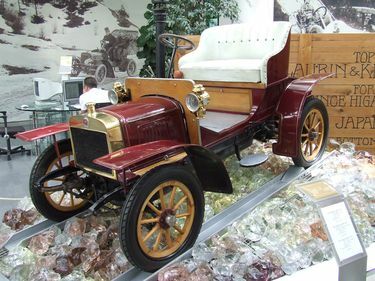 I arranged the factory visit by e-mail with Škoda Museum, I also asked for English guide. Entry fee to the museum and the factory visit was CZK 170 (about GBP 6) including the cost of an English guide! English guide means, that a beautiful, young Czech girl working for Škoda Museum will spend about 3 hours with you and will answer to most of your questions. Question about the factory, cars, the people working there, even technical questions! The building of the Museum was an assembly hall till’ 1964, when a new plant was built for a new model, Škoda 1000MB, less than 1 km away from this site. Museum visit starts with seeing 2 short movies (about 20 minutes together). The first one is introducing us Vaclav Laurin and Vaclav Klement, two men who established a bicycle factory in 1895. 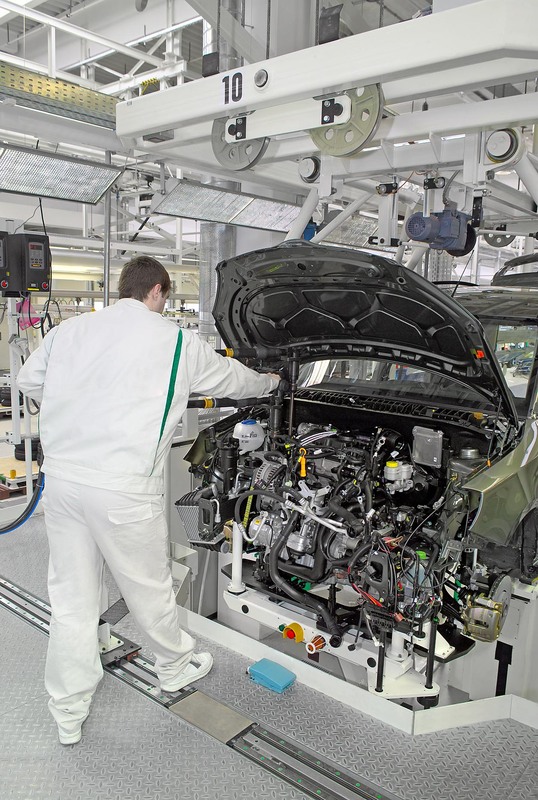 The second movie shows moments from today’s car making processes (mostly those Octavia 2 building processes You will not see even when You will standing in the assembly hall). Our English guide, Gabriela took us all around the exhibition halls. She introduced almost all the displayed cars to us. I hardly had time to take photographs! I suggest everyone who wants to read the signs and stories related to the vehicles to take another round in the exhibition halls without a guide. The firs product of Laurin & Klement company was the 'Slavia' bicycle with rubber tyres. It had no free-wheel, so the pedals were moving while the wheel was rolling. 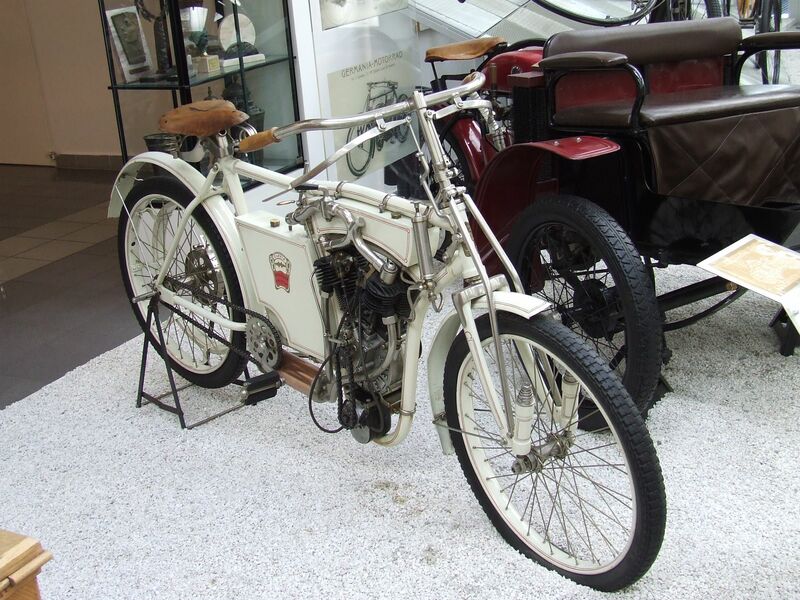 In 1899 the company started the production of motor-assisted bicycles. Mr. Klement (book salesman, businessman and investor) liked them so much that he took one home from one of his business trips to Paris. 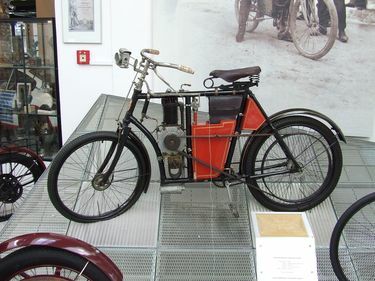 Mr. Laurin (bicycle mechanic) improved the construction: he successfully moved the small engine from its original place above the front wheel to the middle of the frame. It was a successful step. The motorcycles sold very well and the two owners realized that it pays to enter the world of motor racing sports since it's a good source of experiences and perfect marketing tool to make the company known. Racing motorcycles were made with 2-cylinder engines and won many races with the company's drivers. I could hardly wait to get to the 4-wheeled vehicles! Laurin & Klement manufactured its first automobile in 1905, the "Voiturette A" model. 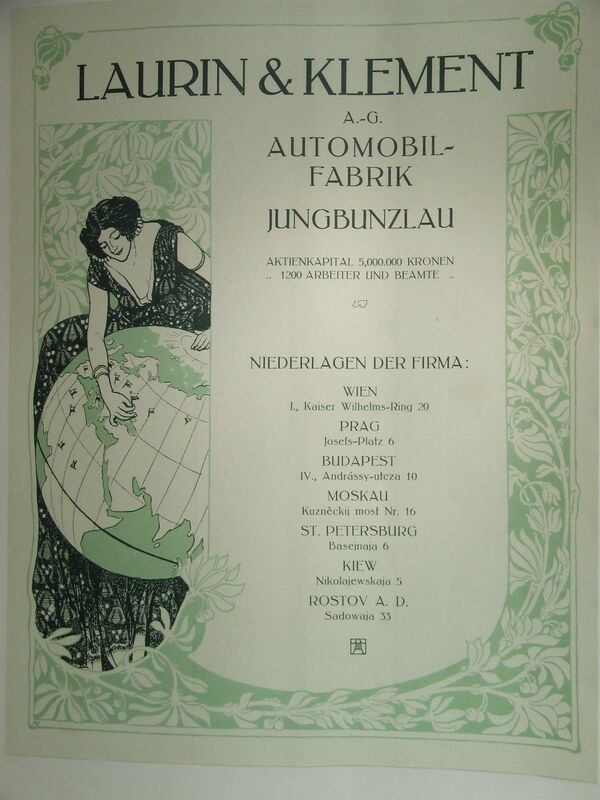 The two Vaclavs were always thinking in big, the company had branch offices in many countries, they sold a car even to the son of the emperor of Japan. 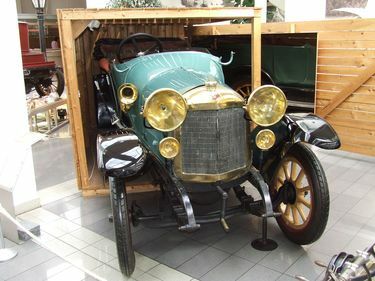 We saw the firs car with fixed roof and with headlamps equipped with projecting lens. The fire engine displayed next indicated that special purpose vehicles were also made from the very beginning. The company did not quit the motorsports. They continued racing with automobiles driven by the company's drivers riding motorcycles not so long before. 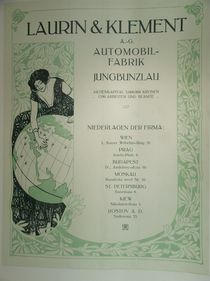 The economical circumstances of the era and the efforts invested into the modernizing of manufacturing made the Laurin & Klement to fusion with the industrial company of Emil Škoda. 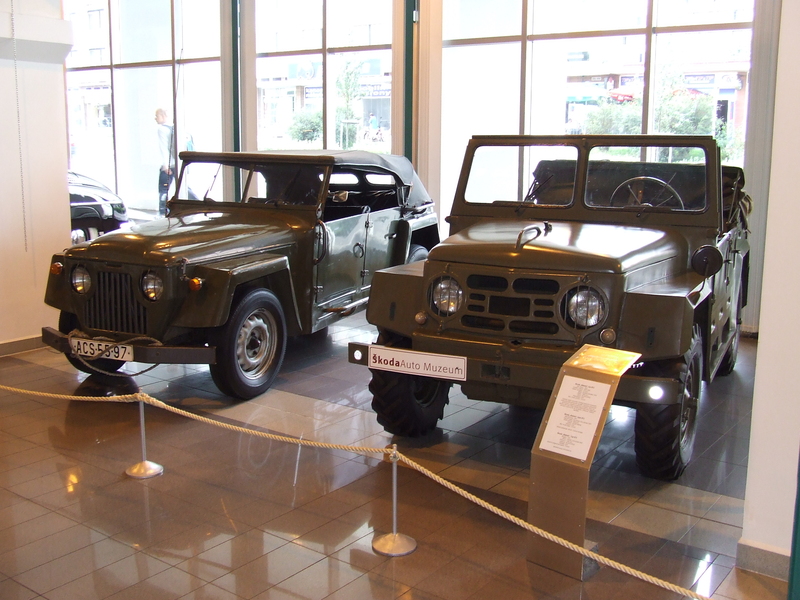 From that time all the vehicles were manufactured with the name "Škoda". For a transition period the vehicles had both brands' logos and the famous winged arrow also appeared. In the 1930's a new model came, the "Popular", which was really very popular! Even a battery driven electric toy car was made with a maximum speed of 20 km/h (12 mph). 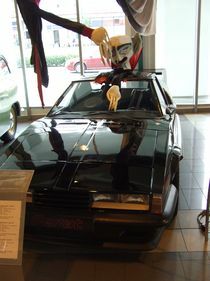 A model with the name "Rapid" was also available with maximum speed of 130 km/h (81 mph). After World War II new models came. In January, 1959 a new model was launched. 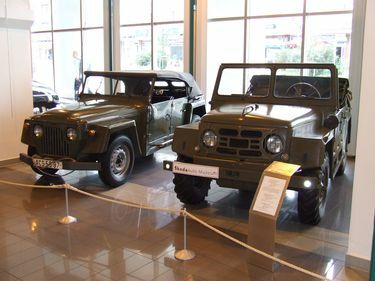 It was derived from Škoda 440/445 (Spartak) and it had many technical innovations. Since it was the 8th model of the company, it was named to "Octavia"! From this time the numbered model designations were replaced by model names. The Superb (originally Octavia Super) had imposing dimensions. 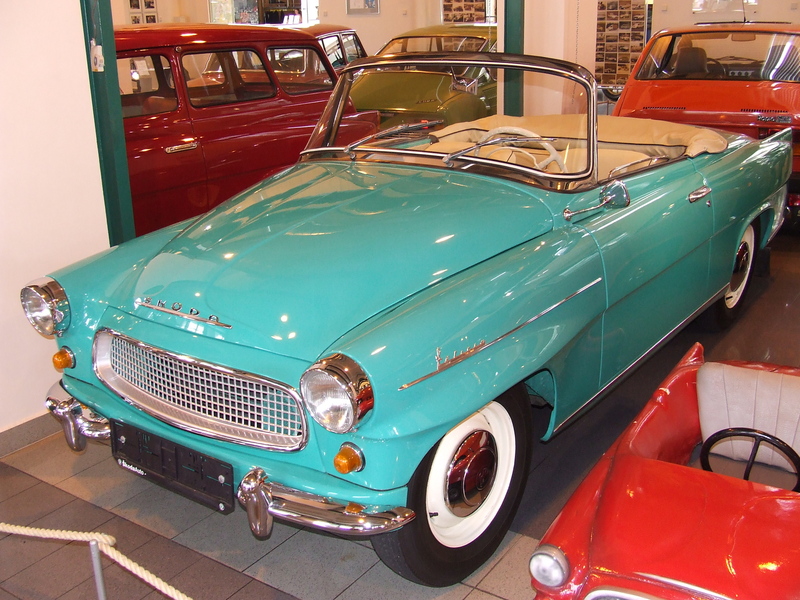 There was the Favorit and the only cabriolet 'till these days, Felicia. 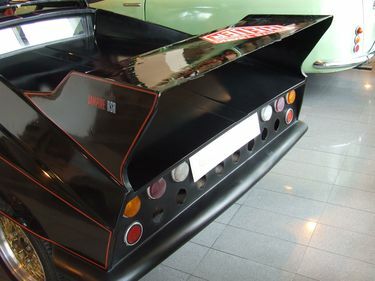 Unique item for me was a prototype car from 1971, Škoda Super Sport. Its 1109 ccm engine delivered 75 PS (55 kW), maximum speed was 180 km/h (112 mph) and it needed 12.6 sec to reach 100 km/h (60 mph). The body is made of glass fiber, it was made by the engineers at Kvasiny plant, but never got into serial production, but became a film star in 1981! 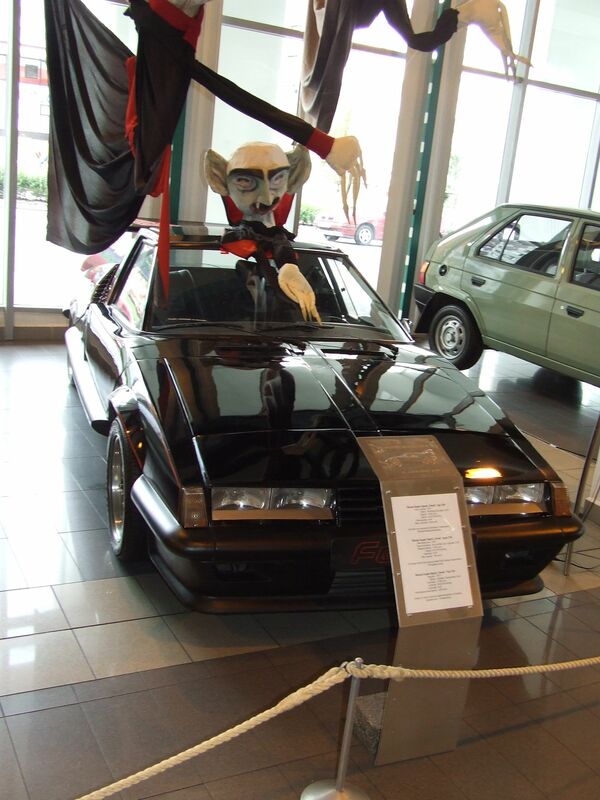 The modernized prototype appeared in a Czechoslovakian horror movie about a car running on human blood. 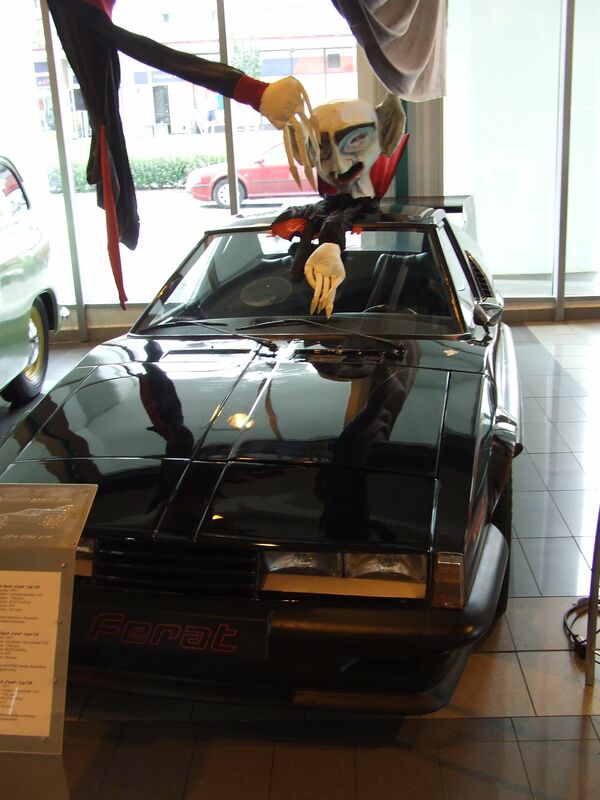 That's why it got the name "Ferat" from "Nosferatu"
Along one of the walls prototype and specially built engines were lined up. 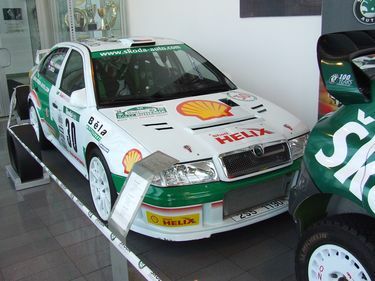 Like the old 1000MB engine (modernized version can be found in Fabia until 2003) with double carburettor or with double overhead cam (DOHC), Octavia WRC engine, etc. In another room we were watching a 3D movie through special glasses about the processes of car manufacturing. I also found a small, symbolic car which was a metal frame with Fabia headlights, wheel, pedals, gearshift lever. Pressing the proper button I could hear the sound all of the engines displayed. I missed the new-era Felicia and I bet 1973 S100 models had door handles fixed outside the door's side surface and had opening button. 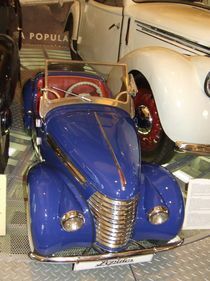 Only later models had the recessed latch. 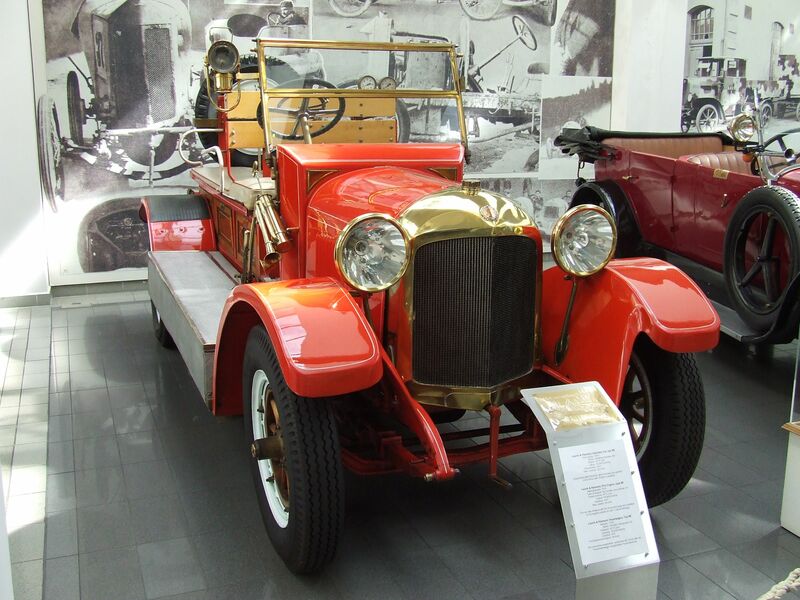 I must say Škoda Museum is very spectacular, informative and entertaining museum. English guide is a must, but you have to see everything after the guided tour again to read the signs, admire the machines and take many photos. 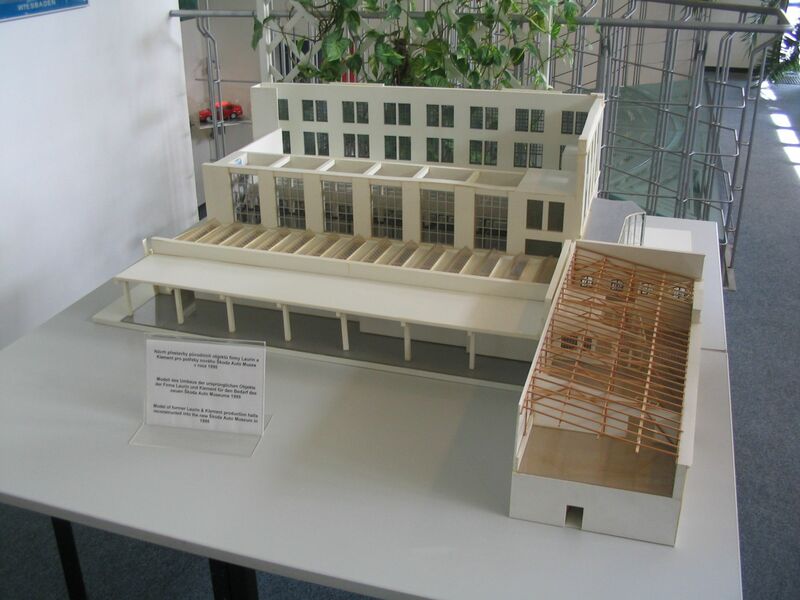 All the information is written in English, German and Czech language. Since the most exciting part, the factory visit was still waiting for us, we did not have time to take another round in the museum. After the tour in the Museum, our guide asked me to go to my car and take our way toward the current factory site. It was easy to pass the security check, when the guard saw our guide beside me. The factory site is huge, we were driving several hundred meters form one hall to another. Taking photographs is strictly prohibited. I tried to ask our guide for about three times to let me take a photo of my car with trains in the background fully loaded with brand new Škodas, or the engine workshop or the Octavia 2 assembly hall in the background, but her heart was cold and refused my request. While I was driving, our guide was talking about the thermal power station that supplies even the town of Mlada Boleslav, the Foundry, where steel and aluminum parts are made (engine block, gearbox housing, trailing arms). We passed the Fabia assembly hall and parked outside another large hall that was the engine and gearbox workshop. I saw long trains loaded with new Škodas. After entering the workshop we arrived to “Quality corner”. It was the starting point of our tour. All the gearboxes are exposed to noise test, switch test and leak test. 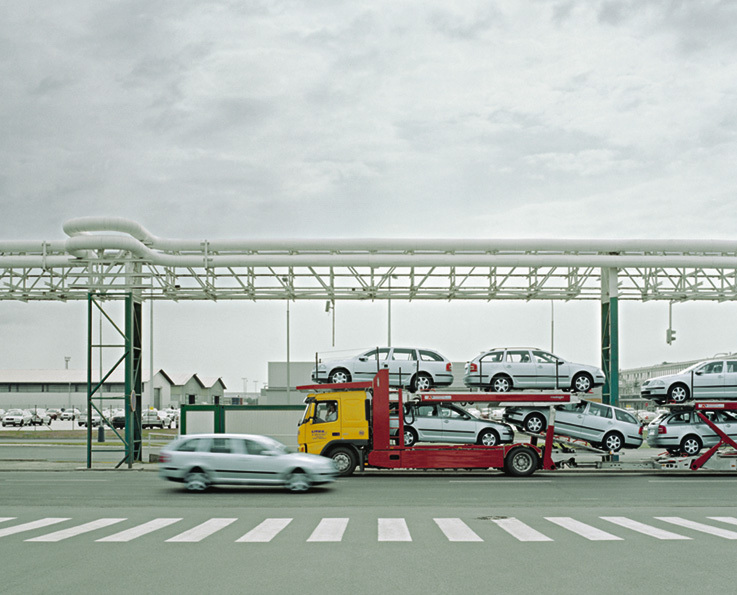 These units partially exported because they are built into other VW group cars too. 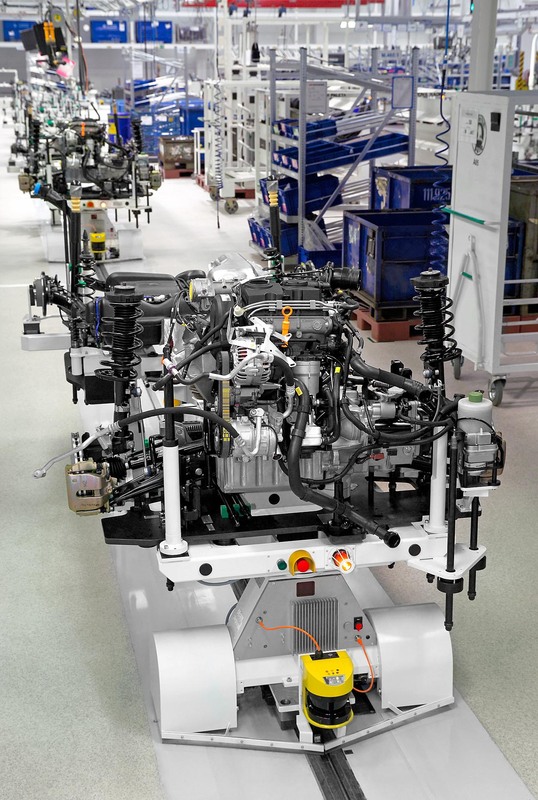 The engine assembly line switches engine types in every 2 hour. One orange coloured robot arm staves the engine ID into the engine block, the other gives the engines the initial oil fill. We also saw a small chamber, where optical engine test is made. 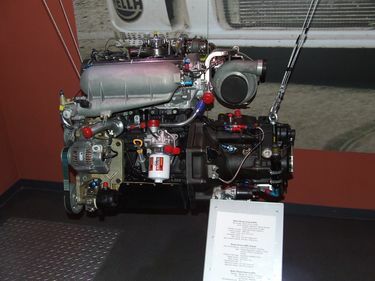 A small camera checks that the engine has all the parts installed. Workers has 30 minutes for lunch, lines stop for this time. Every assembly hall has its own dressing room and dining room. Large displays show the units (engine/gearbox) expected to produce by that time in that shift and the number of units already made. 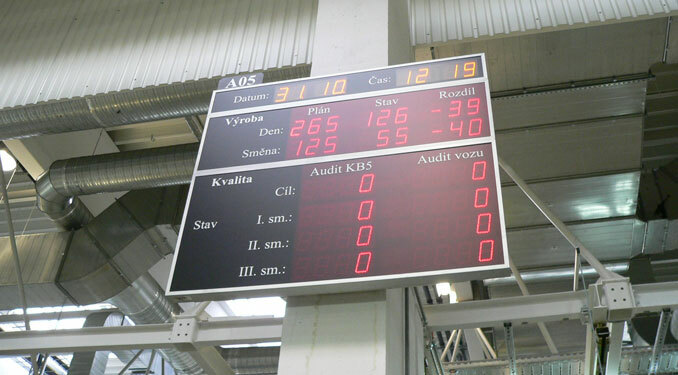 They were 2 units ahead of plan and that shift started 2 hours before (the picture below is not the display I saw, I could not take any photographs in the factory area). This was about a 15 minutes long tour. 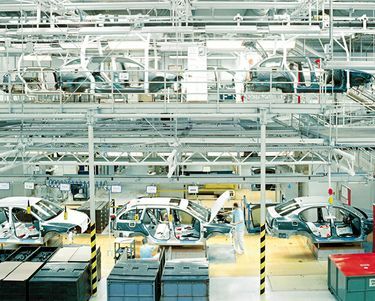 After we returned to my car, we headed for the Octavia 2 assembly hall; I was so keen on seeing for years then. It is the youngest building of all assembly halls. 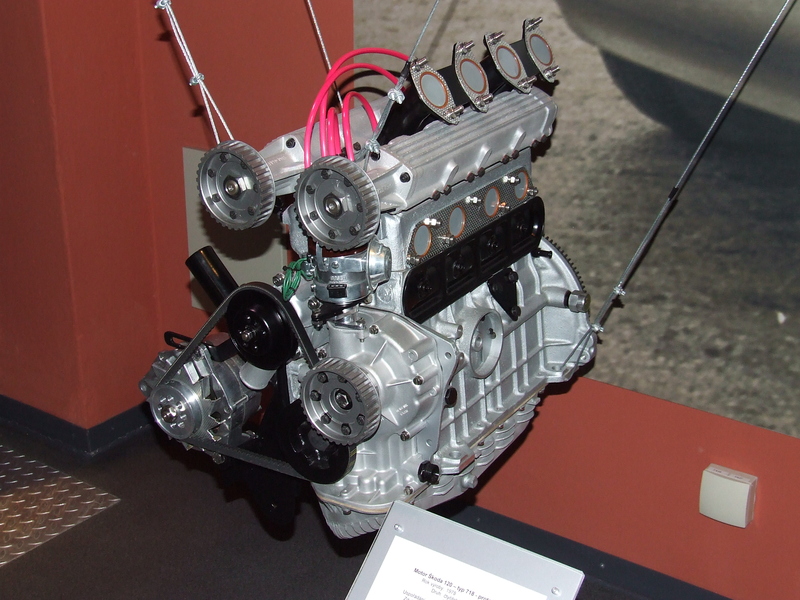 It was build directly for the first Octavia in 1996. At that time 350 cars were made per day, now it’s upgraded to make possible to manufacture more than 900 cars per day! 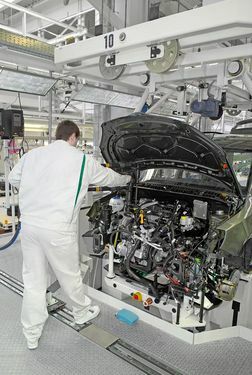 Production of an Octavia 2 takes about 24-26 hours. 10-11 hours for laser and spot welding the chassis and body parts together. The doors are installed, aligned then removed from the body. Doors are assembled in another workshop. 11 hours for applying and drying 5-6 coats of paint. 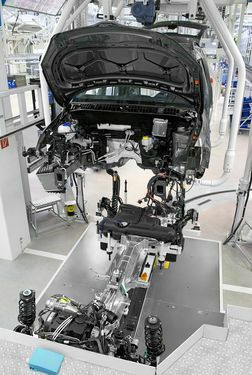 After these processes the empty body (without doors) arrives to the assembly hall where it becomes a brand new car in 4 hours during a 1 km long journey. The assembly line has “U” shape. The empty, but fully painted body arrives to the end of one stalk of this “U” shape from 5-6 meters height. The body only has the bonnet and the trunk lid installed, doors are assembled in another workshop, they’re united with the proper car later. 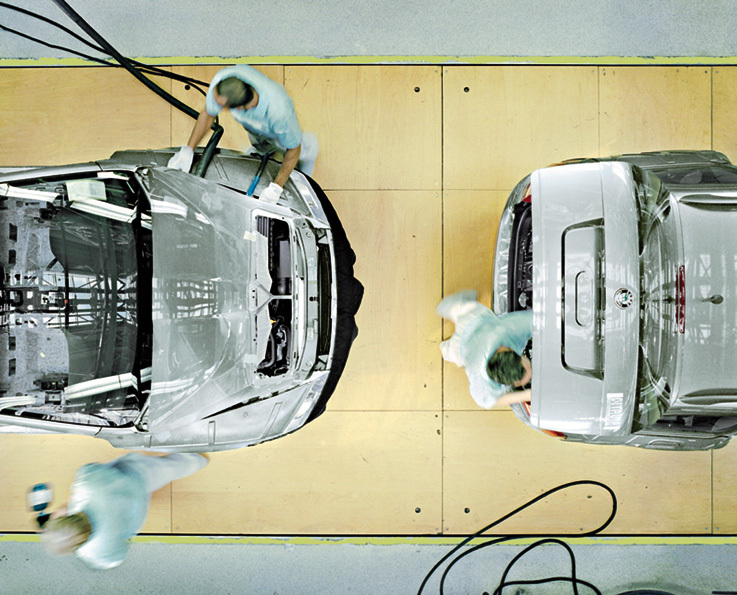 The body is lowered on to the assembly line. All the vulnerable parts of body is covered with protective plastic foils to avoid injuries while the car is built. At this early time it’s already known, what type and equipment level it will be. First the door seals are installed, then the safety belts. Roof rails come, if they are on the order list (they are not default on Combi version at every market). Finally the trunk lid locking mechanism is installed and set up to close properly. The body arrives to the end of the stalk of “U” shape. Now it’s moved to a platform. This platform transfers the would-be car to the beginning of the other stalk of “U” shape assembly line. Visitors use stairs to pass this platform underneath, employees are free to walk while the platform is not in transfer mode, but when it is, barriers are lowered and warning lights are flashing. Visitors are allowed to go only few meters beyond these barriers, then they must climb some stairs to reach a 4-5 meters (12-15 feet) high platform (look-out tower) built specially for them. We were not allowed to walk beside the assembly line or go in further into the hall than this platform. The next step is installing the whole dashboard. Dashboard is assembled in another workshop by specialists. 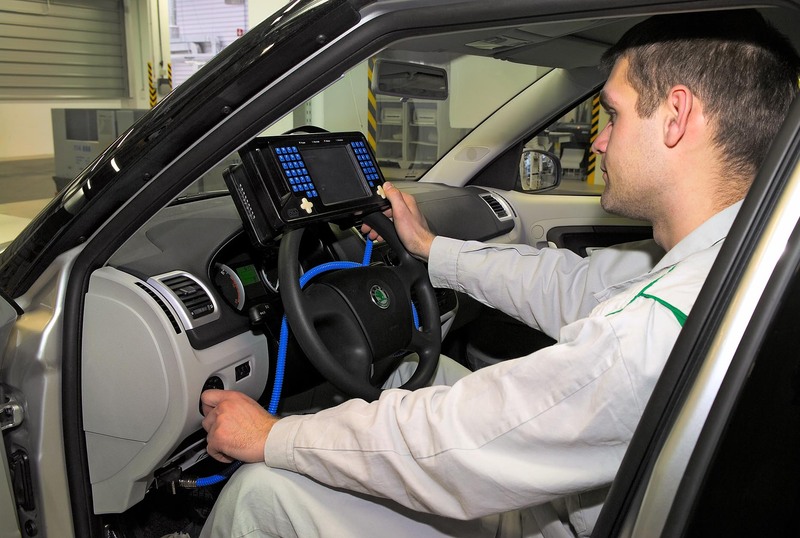 They’re not employees of Škoda, but the company that builds the dashboards. 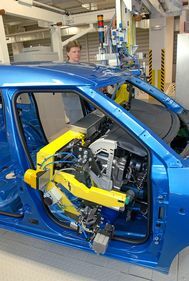 A robot arm brings the completed dashboard and pushes it into the car through the left front door opening! Centre console with climate controls, radio head unit, glove compartment, switches, instruments, heating/air system are all in one unit! Only the steering wheel is missing! 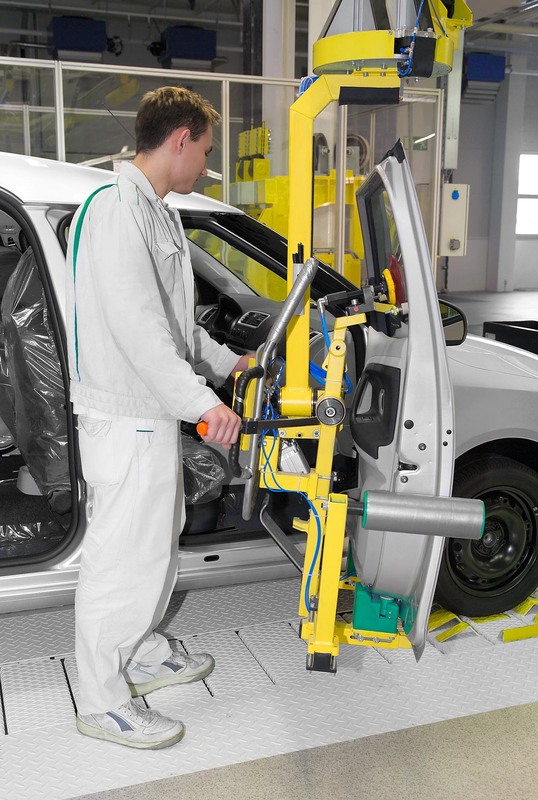 4 or 5 workers fastening the dashboard into the body. The dashboard unit is also equipped with the complete wiring loom of the car! The loom is divided into smaller looms running toward the rear part of the chassis on both sides on the floor, the roof and the engine compartment. The wires are fixed to their prepared places. After this stage another workers do their job in the engine compartment. Installing the brake fluid reservoir, windscreen washer fluid tank and other accessories, like climate system hoses. Meanwhile the body keeps on moving! The floor is moving continuously with the car and the workers on it. Workers are forming brigades. While the body moves through their territory, they have to finish all their jobs. One brigade is working on three cars simultaneously. Workers are often changed for a special task in the brigade to avoid being the job too boring. Average age of the workers is 27 years! Another brigade installs the roof lining, the inner plastic cover of the trunk lid and all the glasses (including the windscreen). From our platform we cannot see the installation of the fuel tank, running gear, engine, the whole interior (seats, carpets, doors) or programming of the electronic systems. How lucky, that the second short movie at the Museum shows some moments of these procedures. Engine, transmission, tank, running gear installation. Wheel installation, initial fill-up (oil, coolant). 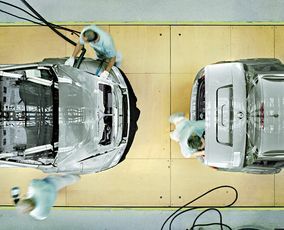 The next thing we can see by our eyes is checking the lights, starting the new car for the first time and rolling off the assembly line on the stalk of the “U” shape right before the point empty bodies arrive to. Our guide said that a new car is finished in every two minutes. She was right! Large display shows the planned production of the actual shift, the number of cars already made and the plan of a 24-hour workday (3 shifts, starting at 10 o’clock pm). 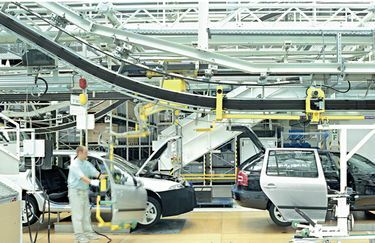 All the assembly halls (Fabia, Octavia) have their own test course and rain chamber, where the water-proofing of the car is tested. 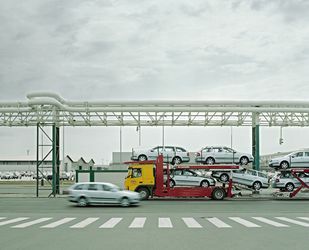 All of the cars are taken to a test route of at least 5 km-s (3 miles). All the assembling brigades have large boxes with VW mark containing car parts. All the boxes have bar code on a label. When the stock of one part is running out, one of the workers shows the bar code label to a reader and the supply must be there in maximum 20 minutes. 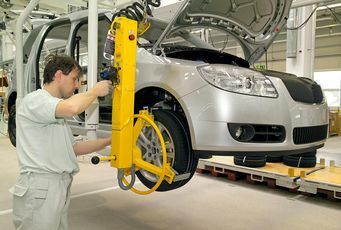 Logistics department has 2 weeks to fit in one customer’s order into the production plan and ensure that all the parts needed to make that particular car will be in the boxes of the brigades when the properly coloured body gets there. Driving out of the factory site our guide showed the Press workshop where the body elements are made out of 4 km (2.5 miles) long steel rolls bought from Germany and Austria. We also saw the pressing tools workshop, here the tools shaping the body elements into the steel sheets are produced. They also manufacture shapes for the Foundry. Press workshop is the only where production is 24 hours per day and 7 days per week. 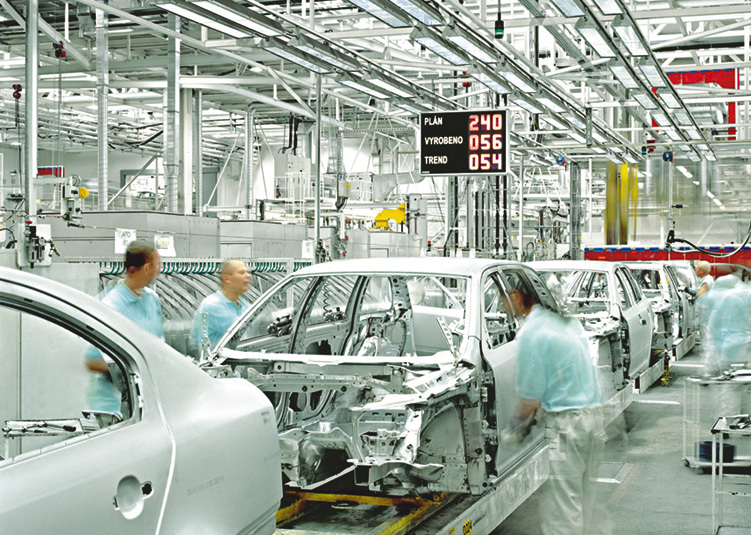 It produces 15000 parts per day and 2 days ahead of production. The operation of the whole plant depends mainly on the Press workshop. When all final checks passed, new cars driven to a 4000 place car park. 70% of them exported. 4000 car is 2-day capacity of the plant. Driving our guide back to the Museum she showed us the Škoda offices, the quarters of the workers, and the management HQ. Design center is on the other side of town. When we dropped our guide at the Museum, we went back to the gate of the factory, parked my car to have the gate with Škoda logo in the background and took a photograph. I could spend all my day beside the assembly line, I’m really happy I saw the birthplace of my Octavia!